Thank you, my Peacock’s Crafty Heart customers! Those of you who know my Etsy shop Peacock’s Crafty Heart probably know that I put 5% from all my Etsy sales on the side and give this money to charity at the end of each year. In 2011 I collected $133.70. I rounded the number to $150 and sent a $50 check to the following 3 children’s charities: To Love A Child helping orphans in Haiti, Jake’s Help From Heaven supporting individuals with multiple medical challenges and disabilities, and St. Jude Children’s Research Hospital fighting cancer and saving children’s lives every day. In 2012 I collected $92.87. I rounded the number to $100. 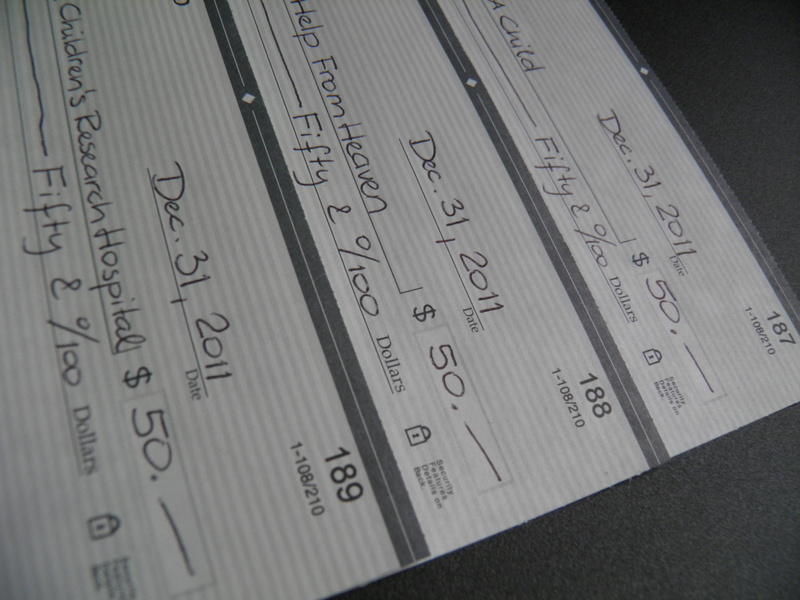 In the same fashion as last year, I was planning on donating this money to the 3 children’s charities listed above. However, this year I decided to donate the money to the families and the community of Newtown, CT that were affected by the recent tragedy at the Sandy Hook Elementary School. I hope the above listed charities and my dear customers understand. As a mother and a person who has dedicated her career and life to children and helping people to bring new life into this world, my heart is broken and I am grieving with all 26 families that lost a precious child or a loved one on Friday 12/14/2012. Rest in peace, you brave souls and you adorable little angels. You will forever stay in our memories. I made a $100 donation to My Sandy Hook Family Fund which was established 2 days after the awful tragedy by Newtown’s parents. Their goal is to raise $2,600,000 ($100,000 for each family) to help these families with immediate financial expenses, such as funeral costs, air tickets for family members and really anything they need. I know nothing can take their pain away, but hopefully this helps them at least in a small way. More info about this fund can be found at Fairfield Citizen Online. I wanted to snap a picture of the fund’s website listing my donation but it shows up as anonymous (although I did not select it to be anonymous … but I guess it shows up as anonymous since I don’t have a WePay account). So I took a snapshot of the transaction from my bank account – the amount that went directly to the charity is $100, the additional $4.30 was a credit card fee. THANK YOU my amazing customers, for making this possible, you are the best! Happy New Year, everyone!